Thanks for the “likes”. I appreciate it greatly. Keep writing. That was really interesting. And I love the way you wrote it. You’ve got a great writing voice. Wow! Very fascinating! It opens up an entire world unknown to me… Great post! I just found a good movie about Dee on YouTube. It’s about 48 min and it’s called “The Queen’s Magician.” Check it out if you get the chance. Someone even speaks Enochian in it! 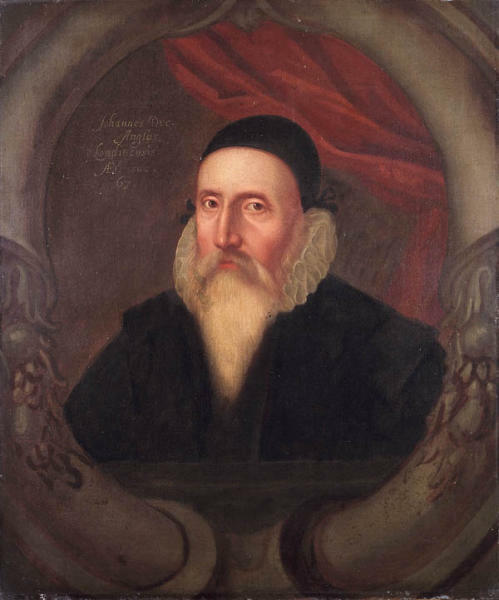 An interesting read about John Dee – thank you for this. You made it easier with all that research and pointers. Makes sense in the first book where the mc is off to Prague. It’s some time since I read it, but I seem to remember that Frances Yates’ ‘The Rosicrucian Enlightenment’ had some interesting discussion on Dee’s occult interests on the Continent. Even if there’s only tenuous links, the whole study is full of fascinating insights on how Renaissance occultism interacted with European politics of that period. Would you believe my library doesn’t have this?? I see it was republished as a Routledge Classic in 2001, but I got my copy in, what, the seventies? the eighties? when it was relatively cheap. It’s available from the publishers here: http://www.routledge.com/books/details/9780415267694/ but I’m sure you can get it cheaper online elsewhere. Her The Art of Memory is good too! Both are a little on the heavy side, academically speaking. Maybe Alibris has a used copy. I’ll have to check. Dee in itself hath become a name to conjure with. Look at H.P. Lovecraft…. Very inspiring to see someone that thinks like me – ( and does the research for me! ). My only question is – why did they only have male advisors? 🙂 This is coming from the 21st female scryer! 🙂 lovely…I look forward to following you stories! They had more to do with what might be called an English intelligence Service. England was at war with Spain , if you so much as mentioned spirits you would be burnt to death. So no one wanted to touch it. England had ditched the catholic church. A system of code like the Enigma of WW.11 each agent or angel had a name. And a specific cross for decode. It took months and years to organise the war machine of empire building. Spying they covered with scrying . Yes, Dee had a very rich and complicated life. He did act as an operative for Elizabeth. 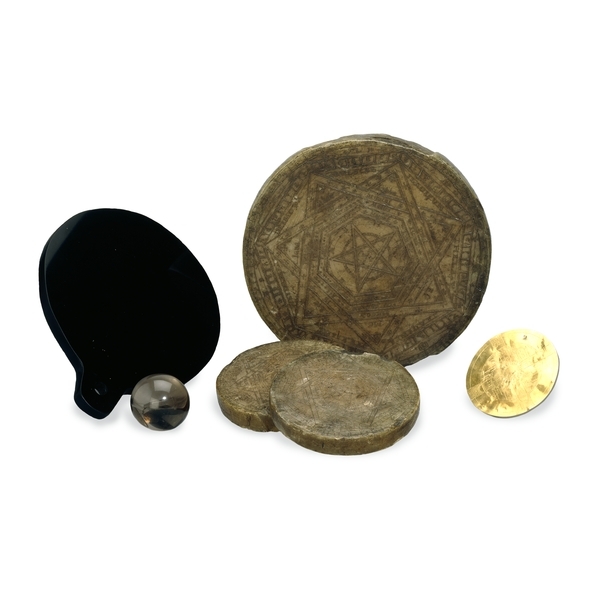 He also had a lot to do with exploration of the New World and planning voyages to enlarge England’s realm. And then there’s the whole episode in Prague with alchemy. He even went to Cambridge spy recruitment central .The plates above are like enigma typewriters of the day. The book I read was sketchy on the spying aspect and concerned when he was on the continent. In a synchronistic moment, I just opened or rather the book opened to the page talking about the intelligence network run by Sir Francis Walsingham. Around this period Dee had meetings with Walsingham about the northwest passage. I haven’t seen anything that connects the disks to Dee’s intelligence work but maybe my sources are… limited. Great job…I’m excited to do some more research!